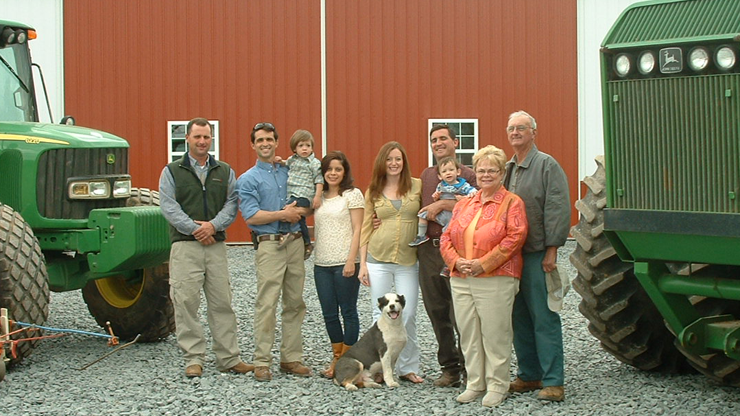 Jamison Ag and Turf is a family-owned business that started with Jamie and Kathy Jamison in 1970. As their sons grew — Joseph, Michael and Patrick — Jamie and Kathy brought them in to share the work and expand the company, which is based in Poolesville, Maryland. With a teamwork mindset, everyone brings their own expertise to the operation. Jamie is the president and oversees operations with Kathy, who makes sure the books are kept in order. Joseph manages the day-to-day operations and input purchases. Patrick is our in-house turf expert and field agronomist. Michael manages the grain marketing and the implementation of precision ag technologies. Jamison’s team works in unison to propagate yields and employ best management practices. Whether we are working with the latest technology in precision agriculture or employing nutrient harnessing conservation, Jamison Ag and Turf comes to the field and delivers a quality product with respect for the land. The key to Jamison’s success is the way we provide diligent stewardship to the land. We specialize in growing number 2 yellow corn, soybeans and wheat. Aside from row crop products, we also grow pristine quality fields of tall fescue turf grass. With over 40 years of experience in growing crops, we are dedicated to enhancing the quality of our most cherished asset: The land.